ESCI is a new index in the Web of Science™ Core Collection. Emerging Sources Citation Index (ESCI) expands the citation universe and reflects the growing global body of science and scholarly activity. ESCI complements the highly selective indexes by providing earlier visibility for sources under evaluation as part of SCIE, SSCI, and AHCI’s rigorous journal selection process. Inclusion in ESCI provides greater discoverability which leads to measurable citations and more transparency in the selection process. 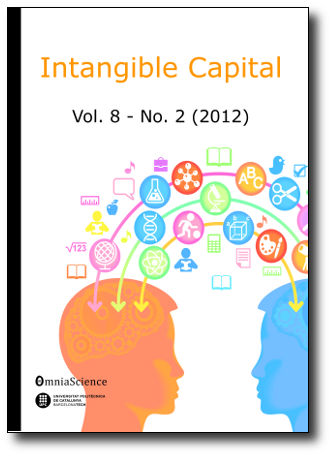 Since last December Intangible Capital has been included in ESCI.